The purchase of property in Bulgaria is just the beginning of the journey in experiencing the needs of care and attention. 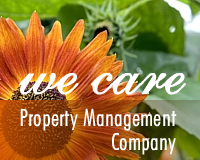 We, Bulgarian Home Care Ltd, are Bulgarian Property Management and Letting Agency, with head office in Varna City and offering services in the North-Eastern Bulgaria. Properties located in the major towns like Varna, Kavarna, Balchik, Dorbich, Novi Pazar, Provadia, Byala, Obzor, Kranevo and the nearby villages can take the advantage of our management and maintenance services. You can find all towns and villages we can offer our management, maintenance and rental service by click here. Each property – house, villa, apartment or holiday complex - has different and specific needs, depending on the region and location, type and size, owner personal requirements. 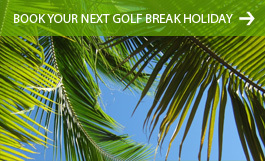 Maintaining a property abroad require a local knowledge and experience. Bulgarian Home Care Ltd will assist you in this mater. We afford you the opportunity to use our local property management teams. Each property owner has the opportunity to compose its Individual Care Package from our list of services. Bills payment – council taxes, electricity, water, security system, internet, satellite TV and all other payments your property may require. Keep a record and sending regular monthly reports and bank statements for all bills paid. Security system – we will be the contact persons 24 hours available on call from the Security Company. We propose Free Initial Inspection on site to be done to your Bulgarian Property, draw up for you a list of all your property needs and after informal chat with you to compose your Individual Property Care Package. In that way you will be sure that your Care Package will include all your specific property needs and that all of your requirements and standards will be met.